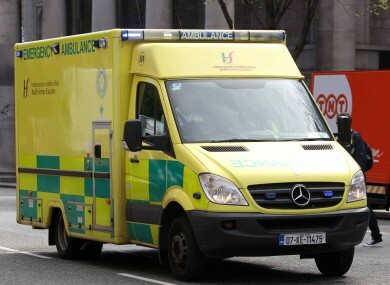 THE HEALTH SERVICE Executive (HSE) has been ordered to pay €52,000 to one its own paramedics after being found to discriminate against him over the care of his daughter who has Down Syndrome. In the case, the Workplace Relations Commission (WRC), has found that the HSE indirectly discriminated against the un-named staff member on the grounds of family status under the Equal Status Act. In a hard-hitting report, WRC Officer in the case, Peter Healy stated that the man has simply been fobbed off in the most unacceptable manner by his employer and the employer has directly interfered with his ability to care for his daughter. Healy also found that the employer has ‘victimised’ the man under the Equal Status Act. Healy said that the employer has given the man “false hope” over a number of years in his bid to have rostered status that would enable him look after his girl better. Healy said that it is obvious that the man has suffered greatly simply in regard to being prevented from caring for his disabled child. Yesterday, Down Syndrome Ireland welcomed the ruling and expressed concern “that a parent of a child with a disability could be treated with such little empathy by their employer and endure years of completely unnecessary stress and heartache”. In the case, the man’s daughter is now six and was born in 2010 with Down Syndrome along with accompanying cardiac medical conditions and further medical complications. The WRC report states that she requires regular care and attendance at medical appointments concerned with these conditions and feeding difficulties. The father applied for a rostered position in 2011 so that he could look after his daughter better – working on an un-rostered basis, an employee is engaged on various and varying rosters and can be moved from station to station with 24 hours notice. In July 2011, the man raised a number of formal grievances about the failure on the part of the HSE to provide him with a rostered position given his inability to comply with an un-rostered position by virtue of his family status, being a carer for his daughter with a disability. In 2012, the HSE upheld his grievance and on 7 August the HSE stated that he would be placed on a rostered position on that day. The man stated that from November 2011 to August 2012, he was forced to take a period of carer’s leave to care for his daughter by virtue of the failure on the part of the HSE to provide him with a rostered position. This was a period of unpaid leave and he incurred significant losses in terms of loss of salary for this period. The man returned to work in September 2012 but was only provided with temporary rostered positions which he stated were not sufficiently stable. As a result, the man was again forced to take a period of carer’s leave from September 2013 to September 2014 to care for his daughter and again he incurred significant losses in terms of loss of salary. In its response, the HSE stated “entirely rejects” that the man was the victim of discrimination or was victimised. It pointed out that his contract of employment which states the precise location he must work in contains the line “you may be required to work in any service area within the vicinity as the need arises”. The HSE pointed out at the man was transferred to a base closer to his home and the HSE provided stability to the man in his rostered hours. Healy said that after hearing from the employer representatives at the hearing that “it is clear that their current position is that they can in no circumstances make a rostered position available to the complaint as ‘the service comes first’”. Healy found that the employer “has had many opportunities that arose naturally under the development of their organisation to provide the complainant with a stable rostered position over the last number of years but has not done so for a number of internal administrative reasons arising from their structural reorganisation”. President of Down Syndrome Ireland, Mary Doherty said yesterday: “As a parent myself of a child with Down syndrome, I know first-hand how vital it is that employers have an understanding that being a parent of a child with a disability poses different and increased challenges and as such, are prepared to make reasonable accommodations. A spokesperson for the HSE stated yesterday that the HSE and the National Ambulance Service don’t comment on individual cases. Email “HSE ordered to pay paramedic €52,000 after discrimination over care of daughter who has Down Syndrome ”. Feedback on “HSE ordered to pay paramedic €52,000 after discrimination over care of daughter who has Down Syndrome ”.